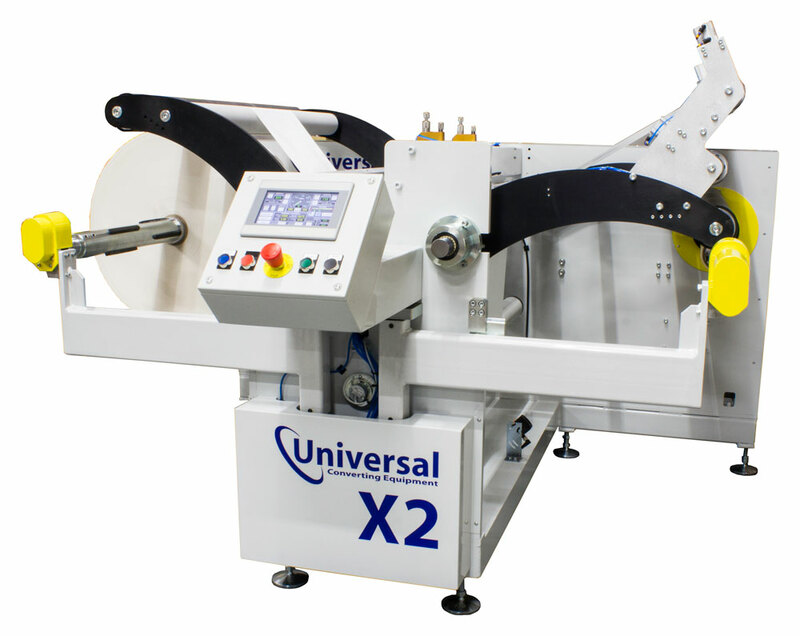 The Universal X2 roll doctor machine sets the standard for machines of this size. It incorporates the latest Total Tension Control System with closed loop tension feedback to ensure it produces finished reels of the highest quality. The machine has been specifically designed to process tension sensitive substrates. The cantilevered design allows easy loading and unloading of reels. The machine is reversible to allow print direction to be corrected without the need to unload and re-load the roll. The Converter Guide 4 Digital web guiding system is simple to set up, and utilises AC Servo technology, with encoder feedback to give the ultimate web guiding performance. With a rewinding machine the finish roll edge profile is sometimes controlled by the guider (rather than a slit knife) therefore this is a key area of the machine. The guider corrects at speeds up to 50mm per second. The controls for the guider are fully integrated with the machine controls.